Tomorrow is the big day and we thought we’d help you get the best coverage of the US Presidential Elections of 2008 on your iPhone or iPod Touch. 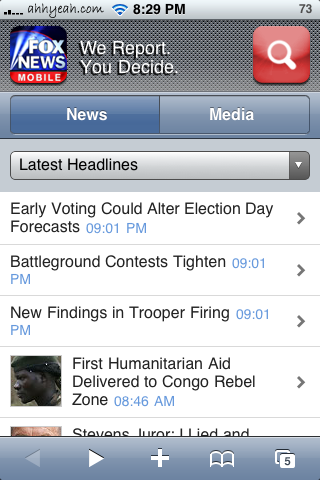 There are some kewl Apps in the app store but most are just poll tracking and not final results or news. I’ve looked over the top news sites and found only one with an entire site dedicated to the election coverage. 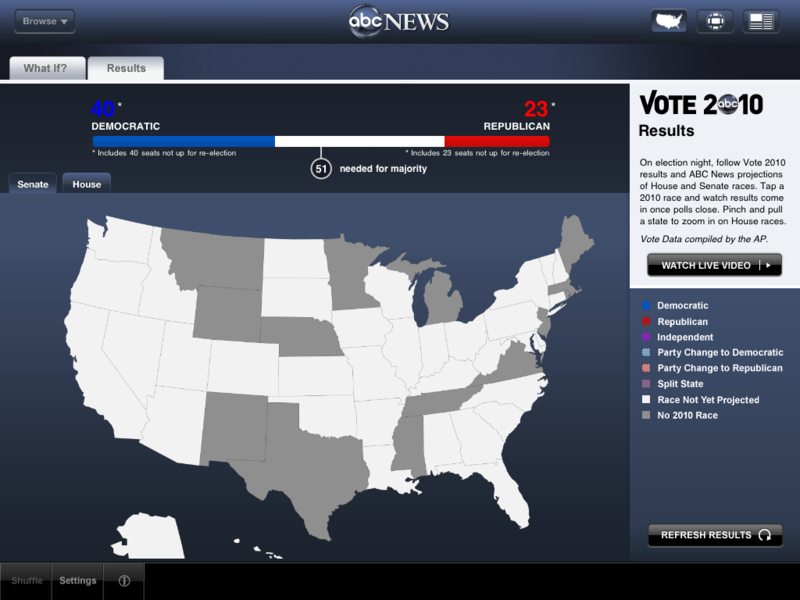 CNN has, by far, the best web app for the election called the CNN Election Center. You can even put in your zip code and get local results of your state candidates running for state positions. Ok, I have to apologize first to all of those in other countries who don’t care about the US elections. To make if fair, let me know of any apps that are available in other countries that are not in the US and we’ll get a review of it. I can tell by our stats that MANY of you are from outside the US so we’d love to review your country specific apps too!